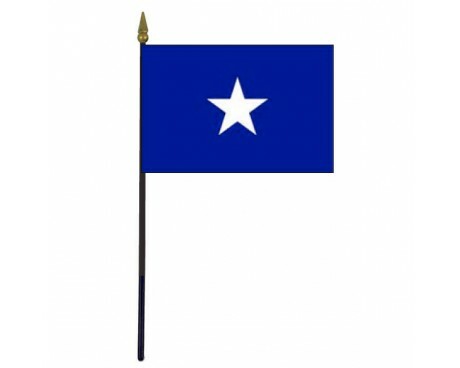 Bonnie Blue Stick Flag - 4x6"
Despite it's short lifespan, the Confederate States of American (also known as the "Confederate States" or the "Confederacy") had a large number of recognized national flags. From 1861 to 1865, during the Civil War, the Confederates recognized 3 national flags and several Unit & State Flags of the Confederacy . The first Confederate flag was known as the Stars and Bars, or the First National Confederate flag. It was officially used from March 4th, 1861 to May 1st, 1863. 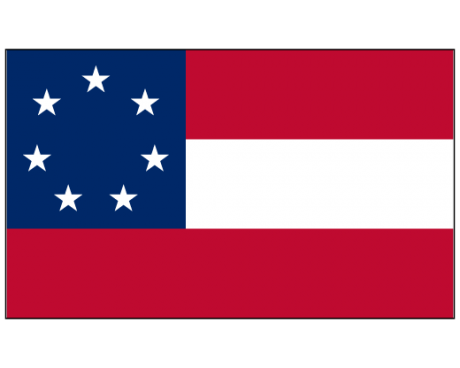 This flag was disliked by many within the Confederate States because of it's resemblance to the American flag (Yankee flag). It's similarity made it difficult to distinguish them on the battle field particularly when there was no wind, which added to their distaste of the flag. Despite that, even this flag went through several changes when new states were added to the Confederacy. 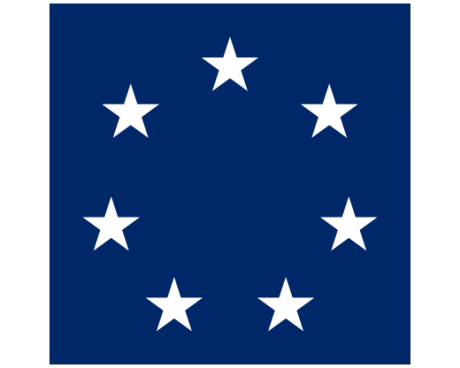 It originally had seven stars and then as states were added it had nine, eleven and finally thirteen stars. Each time a state was added, a star was added to the canton, just like we've done with the American flag . 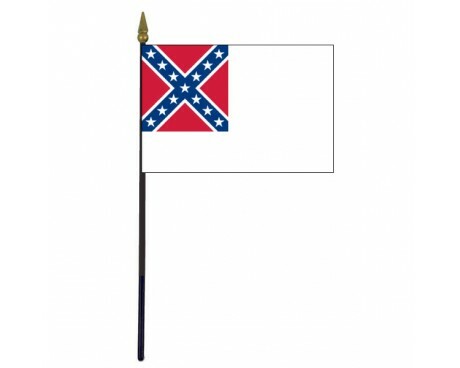 The second Confederate flag, also called the Stainless Banner, flew from 1863 to 1865. This was the first flag to incorporate the Confederate Battle Flag in the design of another flag. It was a solid white flag with the Confederate Battle Flag design used for the canton. The flag's designer, W.T. Thompson, called this flag "The White Man's Flag". This flag received criticism within it's own Confederate States for being too white in color. The complaint was that it was easily soiled and resembled the white flag of truce, which was certainly not the impression that they wanted to give. The third national flag of the Confederacy was called the Blood-Stained Banner and was used from March 4th, 1865. 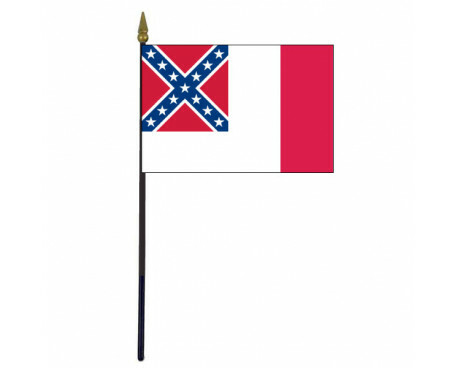 To correct the impression that the flag had any relationship with the white flag of truce, a red vertical stripe was added to the fly end of the 2nd Confederate flag. Many other historical Confederate flags were used by the Confederate States during the Civil War that were used widely throughout the Confederacy. 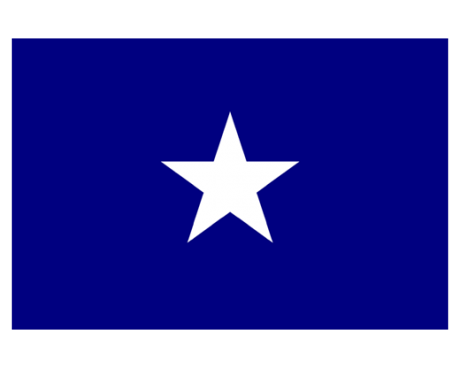 The Bonnie Blue flag was very well known and is still quite popular today. 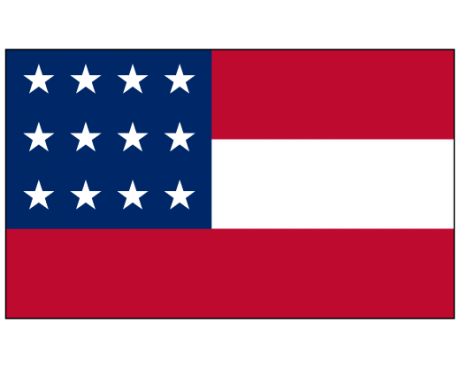 It was used as an unofficial Confederate national flag during the early part of 1861 and was flown on Confederate Batteries and by Confederate troops on the battlefield. The Confederate Battle Flag is perhaps the most widely recognized Confederate flag. Interestingly, it was never a national flag of the Confederacy, but this battle flag has been used by history lovers and as a symbol of the Southern United States ever since the war. It's square battle ensign design isn't as popular as the rectangle version known as the Second Confederate Navy Jack or the Battle Flag of Northern Virginia. This flag also goes by names like "Rebel Flag", "Dixie Flag", "Southern Cross “ and incorrectly as the Stars and Bars. Recent events have proven that the symbolism of this flag is very divisive in nature and there has been a push for it to be removed from all public places and from the few state flags that still incorporate it in their designs. It is one of a handful of historic flags that has taken on a new life long after it's official use ended. Other flags that you've seen take on new life have been the Gadsden Flag with it's "Don't Tread On Me" message and it's ties to the American Tea Party, the "Come & Take It " flag which has been tied to arguments about 2nd amendment gun rights, and the Irish "Erin Go Bragh " flag which came into use by the "Saint Patrick's Battalion" during the American Civil War.